Finding the best cryptocurrency exchange is not the easiest task in 2019. As Bitcoin and other Altcoins grew, there is a very large number of services around them. One of these is many of cryptocurrency exchanges platforms, where you can buy and sell cryptocurrency. But how to choose the right, safest, most secure and cheapest crypto exchange? I've created a cryptocurrency Exchange list where I have tested these exchanges and wrote their strengths and negatives. I have looked into account parameters such as crypto exchanges volume, safety, number of offered coins or where is cryptocurrency exchanges based. If you are looking to buy a cryptocurrency for FIAT like USD or Euro, it is important where is crypto exchange based. (US based, Euro based, etd..) International transactions can be expensive. The first thing to consider when looking for the best website to buy bitcoins is safety of the crypto exchange and server. There were too many scams and failed exchanges to take safety of an exchange for granted. Endless reviews are available online to compare single coin exchanges, so preferably start with that, search through forums and websites for reviews. Each crypto exchange should then provide information about their safety arrangements.This information is displayed on the crypto exchange website. It is recommended to read them properly and make sure, where you are going to deposit your money. In many cases, you will also need to look at the location of the crypto exchange platform, since some of those do not accept registration from different countries. A safe crypto exchange should offer 2-factor authentication (2FA). Next thing which shows a secure exchange is ID verification and https:// SSl certificate. Most of the crypto exchanges do not operate under any regulations or obligation, so keep that in mind and take special care while choosing coin exchange place. Other criteria when searching for reliable bitcoin exchange platform is also high trading volume (for smooth trading), a number of offered crypto (bigger choid better)coins and support of fiat money (if you want to use your card). For in-depth discussion: listen to Andreas Antonopoulos on the LetsTalkBitcoin podcast, and check out r/btc. Other-currency exchanges that have a large amount of currencies often do not offer a USD or Euro deal. One of the options that it offers is USDT (Tether), which is "cryptocurrency" which tries to keep the course in 1: 1 ratio to USD. How to buy cryptocurrency using this list of exchanges? The list above includes all available cryptocurrency exchange sites, which are ranked according to the rates they received at the closer rate. Each cryptocurrency exchange contains a detailed review with all needed information. Then you are ready to start buying cryptocurrency online. Once you are registered and verification process is done, you are ready to trade crypto. All exchanges have very similar main page format where you can immediately see price chart and trading area. There you type the amount you want to sell /buy and calculate how much of a Bitcoin you can get. Here should also be visible an Order book. Order book shows a list of people who all want to buy or sell bitcoin at a particular price and although no one is currently buy/sell at the price they want, the people on the Order books are all willing to wait. How to trade bitcoin? When buying crypto on coin exchanges it works more like an auction. If you already know, how much you are going to spend on crypto, place an order. This order will go to the Order book and then you'll have to wait with everyone else in the Order book. Being in the Order book is a little bit like waiting in line, where everybody with a better offer is served before you. Finally when your order comes up as the best buy or sells price the next person to place a market order will be buying or selling crypto to you. Once you have got some coins then it is a good idea to store them offline (not on an exchange) - into a crypto wallet. There are two kinds of wallets, online and hardware. An online wallet is also called "warm wallet" because it is connected to the internet (phone app, desktop crypto wallets .... ), on the other side hardware wallets are called "cold" since they store your crypto offline. Offline wallet works as USB. It is strongly recommended to store at least some of your purchased cryptocurrencies in offline hardware wallet since its the one which can not be hacked. Keep an crypto wallet app on your phone for physocal store payment and other shopping, but the main part will be better safe on offline type of wallet. It’s a tough question. Each crypto exchange have an upside compared to others. Check a few crypto exchanges out and look up on forums as is recommended above, to see what users are saying about the service provided, and which they think are the best sites to buy bitcoin easily.  Localbitcoins.com is a really cool p2p bitcoin exchange for beginners wanting to buy for their first time. The service is all over the world, meaning you can use Euros, Pounds, Yen, Australian dollars, Swiss francs, Canadian dollars, Koruna and so on. If you pay by physical cash then you get to meet the person in real life. Alternatively, you can do a fast bank transfer and the site will hold your coins in escrow for you once it goes through. Unfortunately, with the demise of Cryptsy there is a need for a new major first-rate cryptocurrency exchange (aka altcoins). Having many medium-sized cryptocurrency exchange sites is a better situation than having one large amazing option. Bittrex (new account creation temporarily disabled) has now replaced Poloniex as the largest most amazing option. Its platform is functional enough to have attracted tens of millions of new customer every month. Things feel smooth when using Bittrex. All big and small trading pairs are offered and it is now possible to do cryptocurrency margin trading on major altcoins. This is a cool feature, but use it with caution as leveraged trading has a certain risk factor. Keep in mind that some of the best bitcoin exchange sites also do altcoins. Yobit, Bittrex, Cryptopia and Changelly, are great options worth checking out. Some even offer short selling on major coins.